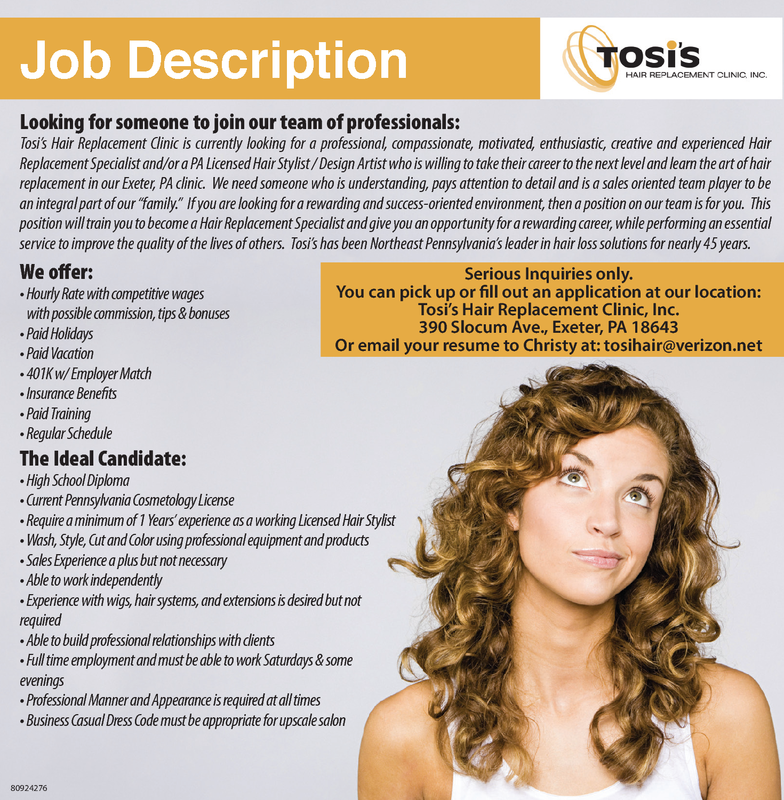 Tosi’s Hair Replacement Clinic, Inc.
replacement in our Exeter, PA clinic. We need someone who is understanding, pays attention to detail and is a sales oriented team player to be an integral part of our “family.” If you are looking for a rewarding and success-oriented environment, then a position on our team is for you. This position will train you to become a Hair Replacement Specialist and give you an opportunity for a rewarding career, while performing an essential service to improve the quality of the lives of others. Tosi’s has been Northeast Pennsylvania’s leader in hair loss solutions for nearly 45 years. We provide Hair Restoration services for men and women that are experiencing hair thinning & hair loss.